? (2012). Conversations with David Foster Wallace. University Press of Mississippi. University Press of Mississippi, 2012. 186 pages. after Broom and GCH are published. really good and in-depth. the interviewers ask him about Broom, what he thinks about MFA programs, GCH's intergenerational issues, fiction being life-affirming, his favourite contemporary authors. The Next Big Thing: Can a Downstate Author Withstand the Sensation over His 1,079-Page Novel? from Chicago Tribune, feb 1996, soon after IJ was published. summarizes all the positive press. 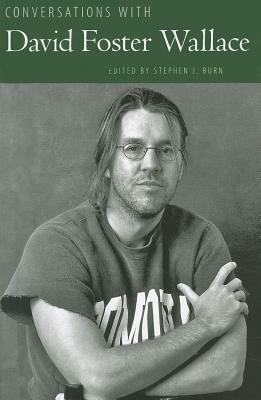 profile of DFW and how he came to write IJ as well as how he's reacting to all the positive press, which some original DFW quotes scattered throughout. from Salon, march 8 1996. soon after IJ. introductory paragraph then really good Q&A style interview on how he came to write IJ, what it's like to write today, his personal writing influences; what it's like to teach at ISU.